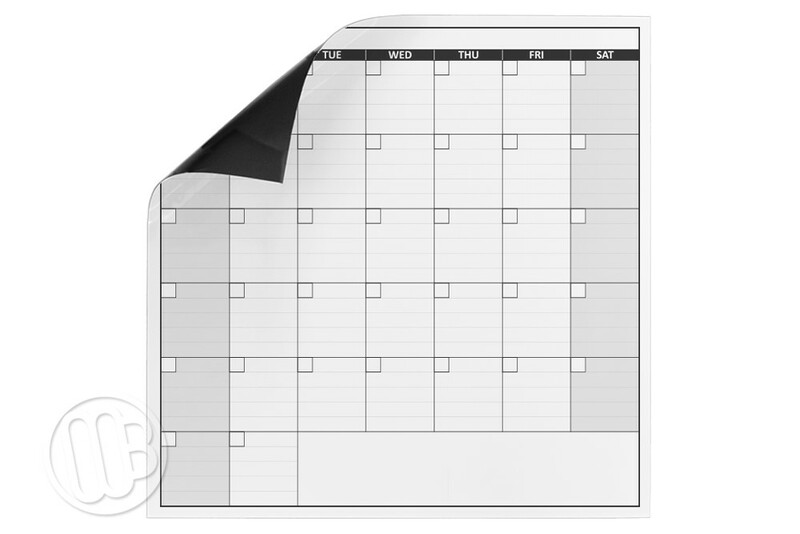 Large roll up one month calendar magnets with a dry erase writing surface from OptiMA Inc. Select from three sizes: 30" Tall x 45.25" wide, 45.25" x 45.25" and 45.25" x 68.5". 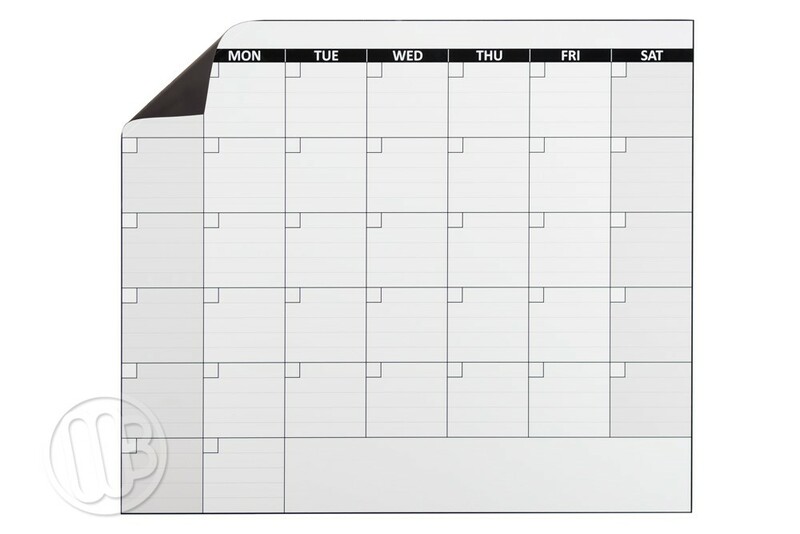 Roll-up dry erase magnet printed with a one month calendar. There are 37 individual day boxes so you will never have to double up on any day at the end of the month like on most calendars that only have 35 days. 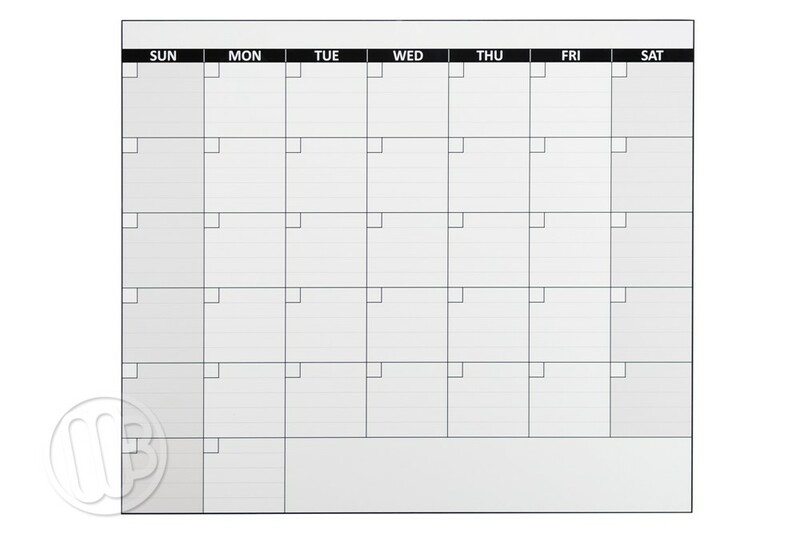 Each day box has light gray lines and you can post up to 5 events per day. Extra large notes section at the bottom gives you plenty of room to add reminders, etc. The strong magnet sticks to any smooth steel surface and works great on the side of a large file cabinet, a magnetic whiteboard, a piece of machinery, etc. 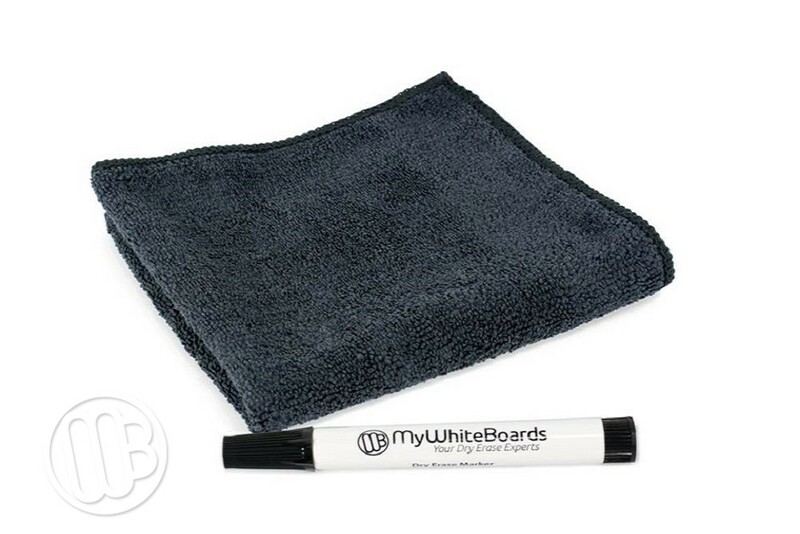 You can write on the exclusive, clear, OptiMA writing surface with either a water-soluble, (damp erase) or a standard dry erase marker. 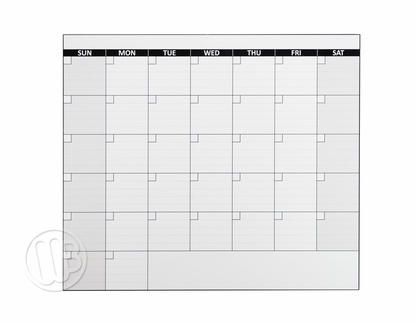 Each one month dry erase calendar magnet ships with one of our Opti-wipe™ dry erase micro-fiber cleaning and polishing cloths and a black chisel point dry erase marker. 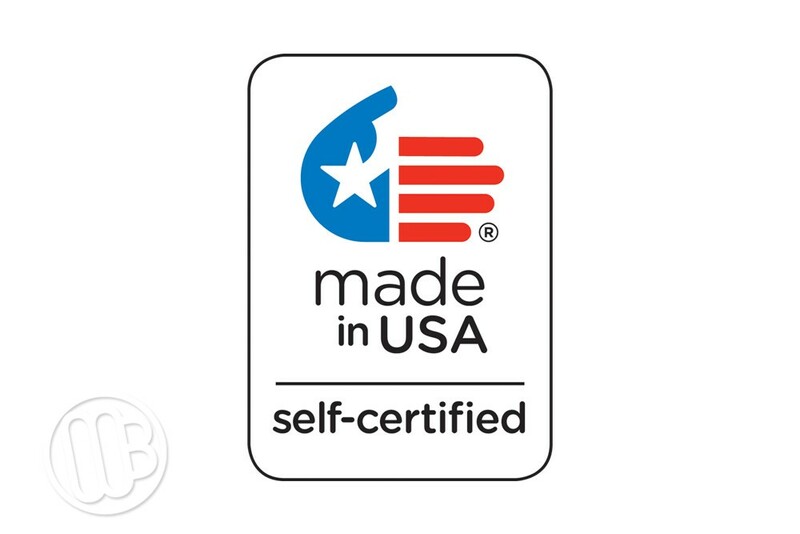 Made in the U.S.A. with domestic and imported components. 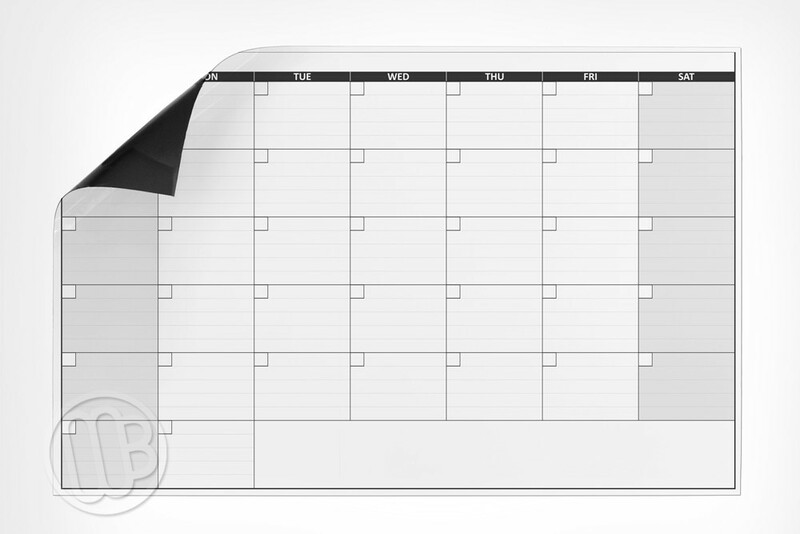 Marker is made in the U.S.A.
Calendar is Printed and Assembled In The U.S.A. with U.S. and imported components. Do not use any cleaning chemicals which contain ammonia. Note: Most glass cleaners contain ammonia.